After World War Two ended, astronomers and astrophysicists took advantage of a powerful array of new tools and technologies. These devices helped move cosmology from a speculative science to the much firmer ground of prediction, observation and verification. For the first time, astronomers began to make detailed and comprehensive studies of the sky at wavelengths other than the visible. At the same time, they began to use rockets to lift their instruments far above the Earth’s surface. Eventually, they succeeded in placing instruments in space that brought dramatic confirmation of the Big Bang hypothesis — and pointed to yet stranger features of the universe. In 1932, as the Great Depression took hold, Karl Jansky was a 28 year old scientist working for Bell Telephone Laboratories in New Jersey. His assignment was to investigate static that might interfere with voice transmission by radio. Jansky built an antenna that could rotate in any direction. It could detect signals at a frequency of 20.5 MhZ (about 14.5 meters wavelength) in the slice of the electromagnetic spectrum used today by FM radio and television stations. He recorded signals from all directions over several months and was able to identify static sources from thunderstorms. But Jansky also picked up a faint hiss of unknown origin that was coming from all directions. At first, Jansky thought he might be detecting some radiation emitted from the Sun. After he followed the signal for several more weeks, he saw that the "loudest" part of the signal moved away from the Sun’s position. It repeated itself every 23 hours and 56 minutes. That meant the signal would take one year (4 minutes times 365 days) to circle back to the same position near the Sun, as seen from Earth. This was just what would be expected for a signal from an object far beyond our solar system, observed during Earth’s yearly journey around the Sun. Jansky realized that the constant hiss he was hearing came from the direction of the center of our Milky Way galaxy. The story of our "noisy galaxy" received widespread attention in newspapers. Bell Labs’ managers, however, were satisfied that the cosmic hiss Jansky detected posed no problem for radio communication, and soon moved Jansky to another research project. Astronomers, meanwhile, took scant notice of his work. New Radio Waves Trace to Center of the Milky Way...No Evidence of Interstellar Signalling. Observatory, an 85-foot reflecting dish, dedicated in 1958. Jansky’s discovery did catch the attention of a few people. One of them was Grote Reber, who described himself as an "ardent radio amateur and distance communication addict." In 1937, at the cost of a few thousand dollars, Reber built a 31-foot-diameter radio antenna in his backyard in Wheaton, Illinois. He undertook the first systematic survey of radio waves from the sky. He had to do the work at night because there was too much interference from the sparks in automobile engines during the daytime. Despite his efforts, astronomers would have to wait for new technologies before they could start any major effort to investigate the radio universe. The rush to develop radio and radar technologies for military purposes during World War Two had a tremendous impact on astronomy. After the war’s end, astronomy programs all over the world began working eagerly to explore the radio spectrum, using the technologies — and often the surplus equipment — created during the fighting. They were stimulated in part by Reber’s research during the war. Much of the new effort was concentrated in places where observing conditions for traditional optical astronomy were poor, like cloudy Great Britain and the Netherlands. 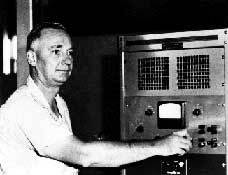 Many traditional astronomers expected that little would be learned by looking at the universe in the radio part of the spectrum. So the new methods gave an opening for countries (like Australia) and professions (like electronic engineering) that had contributed little to cosmology in the past. Caltech, Harvard, and other schools in the US initiated programs in radio astronomy. They were joined by a National Radio Astronomy Observatory funded by the new National Science Foundation. Like many other areas of science, radio astronomy quickly became a focus of a major federal investment in science. Much of this was in support of national security goals, since radio telescopes and radar could watch for hostile activity as well as distant stars. In the 1950s, radio telescopes and other means of observation were drawn into a debate between the supporters of two radically different cosmologies. Advocates of the Steady State and Big Bang models sparred for years. In England, counts of distant radio sources by Martin Ryle and his colleagues showed changes with distance, suggesting an evolution of the universe, but theorists came up with alternate explanations. The debate was largely resolved in 1965 by another major (and accidental) radio discovery. Again the setting is Bell Labs. Arno Penzias and Robert Wilson, two researchers at the lab, were using a very sensitive device to detect microwaves — the type of radiation, between infrared rays and radio waves, developed for radar during the war (and used today in microwave ovens). Bell was interested in using it for communication using satellites. But a station for satellite communications was successfully completed in Europe, and Bell Labs managers encouraged Penzias and Wilson to use the antenna for radio astronomy instead. Aiming to study the radio emissions from the Milky Way, they soon found that they were picking up an unexpected form of background noise that had no obvious explanation. It appeared to come from all directions, which suggested it came from sources beyond our galaxy. Penzias and Wilson visited nearby Princeton University where they met with physicist Robert Dicke. He had earlier theorized that if the universe had been formed in the manner of the Big Bang theory, the explosion would have created a blast of radiation throughout space. As the universe expanded this radiation would have cooled by now to a very low temperature. Wilson described the radiation they had detected. Dicke soon decided that Penzias and Wilson had indeed discovered the signature of a massive explosion, a relic of the earliest days of the universe. To many scientists the discovery by Penzias and Wilson looked like solid proof for the Big Bang theory. Adherents of the Steady State presented counter-arguments, however. The radiation could have come from different sources at different temperatures. Only by measuring the curve of intensity over a range of wavelengths could astronomers say whether it matched the curve predicted from the Big Bang, with a temperature slightly under three degrees. Microwave and infrared radiation was very difficult to measure, and for some wavelengths the instruments had to be lifted by balloons to avoid interference from the Earth’s atmosphere. It took more than a decade of work by various groups before nearly everyone was satisfied that the radiation had the characteristics predicted by the Big Bang theory. 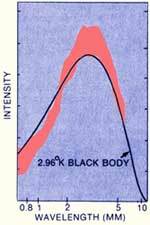 Left: Theorists calculate that a colorless "black body" at a temperature three degrees above absolute zero emits radiation whose intensity peaks at a wavelength just above 1 mm (solid line). Penzias and Wilson’s one point fell near this curve. Within a decade, scientists had measured more points (open circles) and upper limits (circles with arrows). Observers were challenged to measure the infrared wavelengths that would tell whether the radiation fell off as predicted. The problem was, the Earth's atmosphere blocked these wavelengths. Right: In 1975, balloons rising above most of the atmosphere roughly measured infrared radiation (pink area), showing that the cosmic radiation followed the predicted curve within the margin of instrumental accuracy. More recently, satellite measurements have traced the curve with extraordinary precision. Captured German V-2 rocket ready for an experimental launch at White Sands, NM, 1946. While some astronomers were exploring new wavelength regimes such as the infrared and radio spectra from the ground, others thought of launching telescopes into space. This idea had its roots in a secret report that Princeton astrophysicist Lyman Spitzer wrote in 1946, entitled “Preliminary Design of an Experimental World-Circling Spaceship.” Spitzer proposed the development of large space telescopes. An orbiting telescope would see an image unaffected by the air’s shimmering fluctuations and would open up study of wavelengths that the atmosphere absorbed. It took astronomers many years and disappointments to achieve this goal. While military agencies worked to develop rockets for their own purposes, American researchers started off with V-2 rockets captured from the German army. Many of their initial attempts to put spectrographs into rockets met with failure as the devices crashed to Earth or failed to work properly. If anyone asked you what technological development could, at one stroke, make obsolete almost all of the textbooks written on astronomy, I am sure your answer and mine would be the same...the spectroscopy of the sun outside the Earth's atmosphere...I would like nothing more than to be involved in such a project, even if it meant shaving my head and working in a cell for the next ten or fifteen years. to Harvard Astronomer Donald Menzel, 1945. Herbert Friedman at the U. S. Naval Research Laboratory discovered that our Sun weakly emits X-rays, as predicted. Astronomers did not expect to find sources of strong X-rays in the universe. For such X-rays could only come from extremely hot or violent processes, which were scarcely imagined. But when a sense of emergency swept the nation after the Soviet Union launched the Sputnik satellite, the government offered abundant money for astronomical research. A group led by Riccardo Giacconi, with funding from the Air Force Cambridge Research Laboratories, identified the first cosmic X-ray source in 1962. 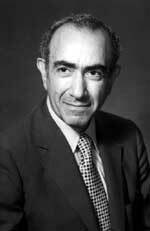 Friedman’s group detected a second source in 1963, and both groups quickly found more. NASA then funded a rocket survey program, and in 1970 launched a small satellite devoted exclusively to X-ray astronomy. Its instruments detected binary X-ray pulsars  neutron stars whose energies arise from infalling matter from companion stars. The Einstein X-ray telescope, launched in 1978, revealed that individual sources account for much of the X-ray background radiation. The opening of the X-ray part of the spectrum attracted many new scientists. A single paper on X-ray astronomy was published in 1962, but 311 papers a decade later. There were about 500 American astronomers in 1962 but only four of them worked with X-rays. A decade later, when there were about 1,500 American astronomers, 170 of them worked with X-rays. More energetic than X-rays are gamma rays. They arise from nuclear reactions, which create elements in stars — and from the explosion of nuclear bombs. Indeed, the first observation of cosmic gamma rays was made in 1973 from a satellite watching for nuclear weapons tests. The Compton Gamma Ray Observatory, deployed from a space shuttle in 1991, has recorded nearly daily bursts of gamma radiation, perhaps when extremely distant neutron stars merge into black holes. Such a burst of gamma radiation is more luminous than a million galaxies. If one happened in our galaxy, it would destroy the Earth’s ozone layer, kill all life, and leave our planet’s surface radioactive for thousands of years. Gravitational waves (disturbances in space-time itself) coming from such events in distant galaxies may be detected someday by a Laser Interferometric Gravitation-wave Observatory (LIGO). Construction of this ambitious instrument— which bounces light beams down a pair of evacuated tubes each two km long—began in 1999, and it is gradually being made more sensitive. NASA's series of High Energy Astrophysical Observatory spacecraft, labeled A, B, and C in this old illustration, were later named HEAO-1, HEAO-2 (“The Einstein Observatory”), and HEAO-3 respectively. The first two studied the X-ray sky, discovering many remarkable and unexpected objects. HEAO-3, launched in 1979, measured high-energy cosmic-ray particles and gamma rays. The Hubble Space Telescope, launched by NASA in 1990, was named after astronomer Edwin Hubble. With a diameter of 2.4 meters (about 95 inches), the mirror is smaller than the mirrors in many Earth-bound telescopes, but its position above the turbulent atmosphere gives Hubble a view of matchless clarity. The universe looks quiet in ordinary light, for the most part changing only over many millions of years. 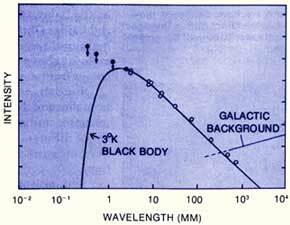 Not so the universe seen in other wavelengths, as revealed by radio telescopes and satellites. Here the most prominent features are violently energetic. The fierce radiation of quasars, for example, can be seen over billions of light-years, helping astronomers map the entire universe. And it is in non-visual wavelengths that astronomers can best observe that most violent feature of all, the initial cosmic explosion. An example of how the deployment of new tools can lead to important developments in cosmology is the Cosmic Background Explorer satellite (COBE). 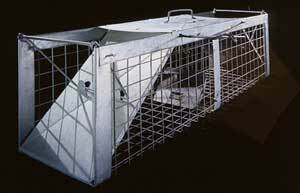 In 1989, NASA launched COBE after taking several years to build it at a cost of some $160 million dollars. The mission was designed to measure the cosmic background radiation with extreme precision, to see whether there were tiny differences from uniformity. These differences had been predicted by theorists who proposed a sudden "inflationary" expansion of the universe immediately after the big bang. Eventually the experiment involved the work of over a thousand people and had stunning success in finding what it sought. 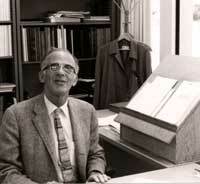 COBE was an indication of how new tools were transforming cosmology into "Big Science," in contrast to the "lone wolf" approach of theorists a half-century earlier. 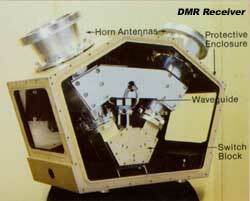 This microwave detector was included in the COBE satellite. The "switch block" switched between the two "horn antennas" that received radiation. By comparing two different parts of the sky it detected tiny differences that theorists predicted in the cosmic background radiation. The recent revolution in non-optical cosmology has important policy implications. In the allocation of scarce funds among proposed scientific projects, should policy makers direct research funds into observations that can extend and consolidate mature theories? Or should they favor the early stages of development of new fields, when practitioners fumble along without any fixed conceptual framework? Cosmological discoveries outside the visible light spectrum have followed largely from technological innovations, with little prediction or justification for their search in advance, and stumbled upon many unimagined new things. How much effort should be spent in hopes of more such lucky breaks? 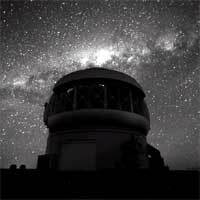 Traditional optical astronomy has also made great advances by going above the atmosphere. The Hubble Space Telescope may be ranked by future historians with the Palomar 200-inch as one of the greatest scientific instruments of all time. Meanwhile, more than a dozen huge new telescopes with innovative designs have joined the 200-inch on the Earth’s surface. In tandem with Hubble, by counting far distant supernovae these instruments are pinning down the precise age of the universe and the nature of its expansion. And by surveying vast numbers of galaxies, they have revealed unexpected patterns in the clustering of matter — skeins of many thousands of galaxies separated by colossal voids where almost nothing is seen. Theorists have managed to make computer models that match this “foamy” large-scale structure by calculating the evolution of the distribution of matter, from the irregularities seen in the microwave data down through billions of years. Their results point to new theories about the dynamics of the universe. Observations from the many devices that point at the heavens today continue to press theorists to revise and refine their ideas about the origins, the nature, and the destiny of our universe. The Gemini telescope at Cerro Pachon, Chile, with a mirror 8 meters (315 inches) in diameter, is only one of several huge new observatories with innovative designs that continue to probe our Milky Way galaxy and far beyond. MORE on new tools from the Smithsonian.